The papers explore the electrical properties of various materials composed of metal, glass and plastics. Last month, two Springer journals—Metals and Materials International and Electronics Materials Letters—retracted seven of the Shin’s papers. The other 23 papers were retracted by the Korean Journal of Metals and Materials (KJMM) and the Korean Journal of Metals and Research. It’s not clear when these 23 papers were retracted; we found the papers watermarked “retracted,” but did not find an accompanying notice or date of retraction. Do Hyang Kim, editor-in-chief of Metals and Materials International, told us that the issues with Shin’s work were first detected by KJMM, which retracted nine of his papers last year. Kim explained that the retractions in KJMM prompted the other journals to examine Shin’s work. The notices in Metals and Materials International, which retracted four papers, and Electronics Materials Letters, which retracted three, all cite “substantial duplication” and “overlap” with previous work by Shin and others. Shin, however, lost the bulk of the now-retracted papers—14 in total—from the Korean Journal of Metals and Research; these 14 papers, along with the nine retracted by the Korean Journal of Metals and Materials, do not appear to be accompanied by a notice or date of retraction. The Editor-in-Chief and Editorial Board of Electronic Materials Letters have retracted this article  because its contents have been previously published by Miyasaka et al. . The contents of this article are therefore redundant. Author Soon-Gi Shin has not responded to correspondence from the Editor about this retraction. Seventeen of the now-retracted papers were indexed by Clarivate Analytics’ Web of Science; collectively those papers have been cited 70 times. Kim explained that Metals and Materials International did not catch the plagiarism and duplication during peer review because the four articles in question were published more than 10 years ago, when plagiarism detection software was not available. The software, however, was available when most of the 26 other retracted papers were published. 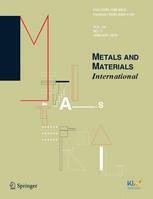 We contacted the editors of the three other journals as well as Springer, which publishes Metals and Materials International (MMI) and Electronics Materials Letters (EML). The only contact information we could find for Shin was his email at Kangwon National University, but he has not responded. We have examined all the papers in MMI and EML. This is not a record number of retractions for one person; as of today, 11 people on our leaderboard have more than 30 retractions each. The investigations into the articles published by Soon–Gi Shin in Metals and Materials International and Electronic Materials Letters were triggered by retractions in the Korean Journal of Metals and Materials and concerns expressed by a whistleblower. This came to our attention in the summer of 2017. Duplication, plagiarism, and ethics violations are all bad and I won’t condone any of them. What most interests me as reader about an article though, is whether it is factually true and reliable or wrong. Retraction for all those external reasons irrelevant to the content in questions do not help me but make my life harder. All the above are about the author while a retraction should be about the article and its content. Conflating and mixing the two does not help anybody. It’s the results of the education system and faculties policy . While the journal lmpact is important not quality of the text. Higher education system needs rereviw in the universities particularly in developing countries. It seems to me that once you know that a researcher is dishonest (plagiarism and ethical violations) it is unlikely on the face of it that their research is valid. This is true both because people who are dishonest in one area are dishonest in others, and because someone whose research is good would have less need to plagiarize. Therefore I am fine with retractions for such reasons; I would not want to rely on this work for anything. Previous Previous post: The retraction process needs work. Is there a better way?